Phil and Susann began in 1973 as grain and hog farmers but in 2000, decided to share their love of farming with others. 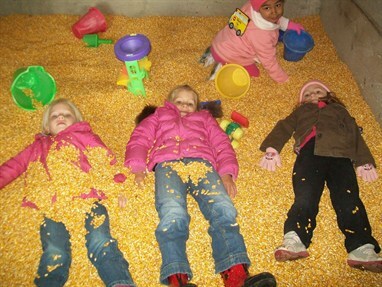 Since then, Wendel Farms has opened its doors to visitors for a unique farm experience of education and fun. Still grain farmers, they produce corn, beans, wheat, and hay but have now added pumpkins, fall mums, and a multitude of animals for all to enjoy. 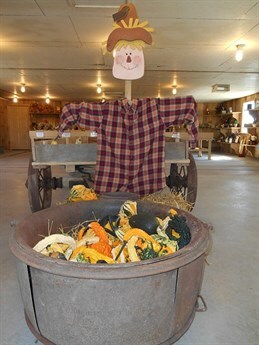 Every year our family invites you to come and enjoy the wonderful fall activites at Wendel Farms. Since our farm is on the state line, we are uniquely located in both Butler County, Ohio and Franklin County, Indiana. 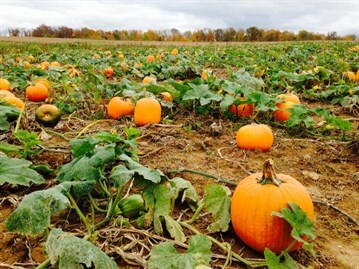 We are grateful to be featured in The BLT about the 30 Perfect Pumpkin Patches in Indiana. Come get your perfect pumpkin today! 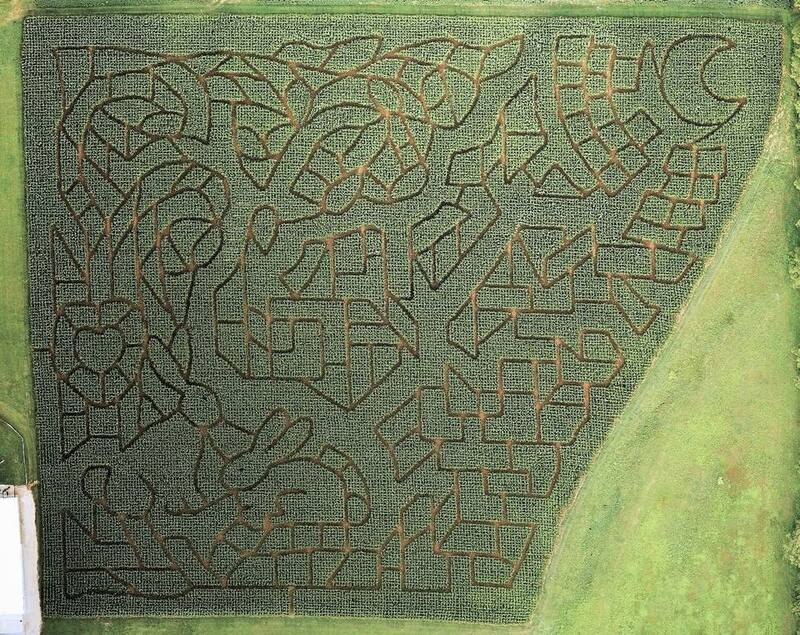 Visitors are invited to find their way through our maze in a six and one half acre corn field. 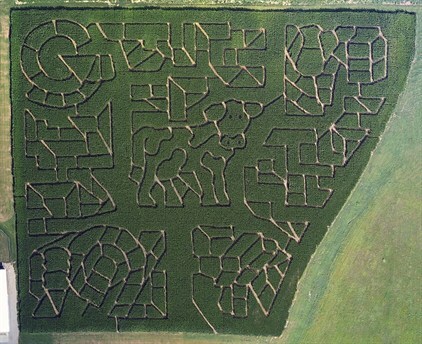 You may play the corn maze game by looking for signs with farm facts as you walk the pathways. By answering the corn maze questions correctly you are eligible for the drawing for free movie tickets. A shortcut route is available for those not wanting to go through the entire maze. The maze is even more fun and challenging at night, but be sure to bring a flashlight. A fun maze made of straw bales is available for the younger children. 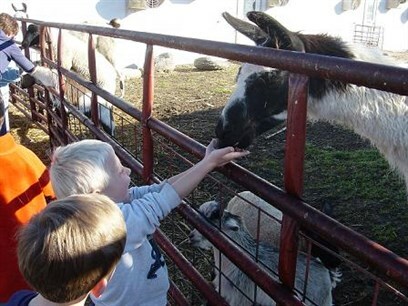 Visit our friendly animals and learn of their importance in farm life. Included are pigs, calves, sheep, goats, horses, donkeys, llamas, alpacas, chickens, ducks, guineas, peacocks, rabbits, a turkey and a goose. The sheep, goats and llamas love to be hand fed by visitors. 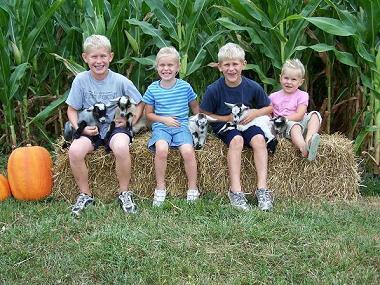 Visitors may take a hayride to our pumpkin patch and pick their own pumpkins. The hayride is free with general admission. Pumpkins are also available for purchase in the Country Store. See what corn, soybeans, and wheat look like and learn how they are used in many foods and consumer products. 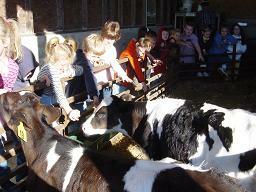 Enjoy the fun of milking a “cow” and gathering “eggs”. Shell corn off the cob with an antique hand corn sheller or children may enjoy the feel of corn as they play in our corn box. Visit our field of over forty varieties of fall garden and Belgium mums. 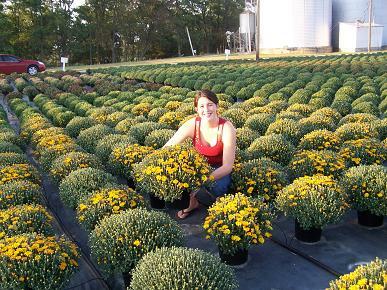 We have around 3,600 chrysanthemums to choose from! Come visit our new baby pygmy goats! Pumpkins of all sizes, gourds, ornamental corn, straw bales, corn stalks, and crafts are available for your fall decorating needs. 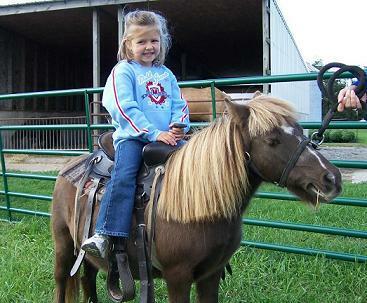 Enjoy a pony ride on one of our ponies. Tickets can be purchased for $3. This package is great for youth groups, scout groups, birthday parties, or just a fun evening with friends. It includes general admission to the corn maze and Farm Land, a fun forty minute hayride into our woods, your own private campfire, a picnic table, and benches for seating. All you need to bring is the food. Call for more information and to schedule your date today! School groups are always welcome! We love to share our love of agriculture and help kids learn about the farm in a fun way. 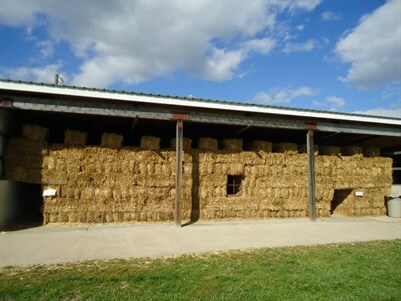 The school package includes admission to the Little Farmer Program and Farmland activities, a hayride to the pumpkin patch to choose a pumpkin (included in the package), a chance to feed some of our animals, an informative and fun talk in the Education Center and a puppet show. Call for more information and to schedule your date. Here are students petting our two calves and learning about dairy cows. Hayrides to the Pumpkin Patch, weather permitting, will end at dusk. Available for sales at other times by appointment only. October 20 @ 2:30pm: Kids Pumpkin Hunt - Come on out to enjoy pumpkins, prizes, and even an optional Halloween contest and parade!